The modern smartphone is an incredibly useful tool and according to Deloitte, a whopping 89% of Aussies own a smartphone. With most of us using our phones every day, we’re certainly no strangers to mobile apps and the notifications that come with them. At times, these notifications can be very useful – who among us hasn’t saved face at the last minute thanks to a handy birthday reminder for an acquaintance on Facebook? Other times, not so much. No one really needs a banner on the home screen of their phone to remind them to play more Candy Crush, or that so-and-so or such-and-such has posted on social media. The hard truth is that most mobile apps on the market today are padding out their notifications with unnecessary information. It’s so prevalent that even satire news website, The Onion, is joking about it. These little pop-ups and badges just aren’t telling us anything important or useful; all they’re doing is trying to get your attention so you open the app again. That’s why it’s a good New Years’ resolution to nip these useless notifications in the bud so you can stay focused on the stuff that matters. We’ve put together some handy advice on how to trim down your mobile notifications and keep the useful stuff and get rid of the junk! Everyone uses their smartphone differently and we all have different priorities. However, there is a general approach you can use to determine whether or not you should let an app send you any notifications at all, and which types of notifications you should block and allow. Do you use the app regularly? – If not, chances are that you wouldn’t even notice if you disabled notifications entirely. Unless the app is designed to alert you to security matters, emergencies, usage warnings or other urgent issues, it’s probably safe to flick the ‘off’ switch. Do you care about what you’re being reminded about? – You’re probably already getting a bunch of notifications on your phone, so it’s up to you to go through and decide which ones are handy and which ones are duds. If you’re seeing a lot of useless notifications from any app in particular, it’s definitely time to investigate if you can change the type of notifications you’re getting. Does the delivery method match the importance? – Apart from the content of notifications themselves, there’s also the delivery method to consider. Virtually every smartphone has three main kinds of notifications: push notifications that appear on your phone’s lock screen and/or Notifications Centre, badges that appear as red dots at the corner of an app tile, and pop-up banners that will show up as soon as a notification is sent. You may wish to disable the disruptive pop-up banners for everything except your most important notifications. Similarly, app badges don’t offer any clear information about the nature of a notification, so you could try disabling them entirely so you’re not wasting time opening apps for no good reason. 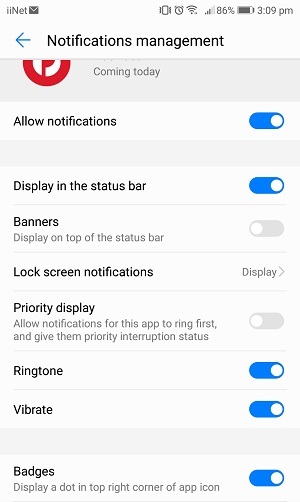 Once you’ve got an idea of how you want your notifications set up, it’s time to whip out your smartphone and start adjusting your notification settings. Here’s some basic guides for accessing these settings on iPhones and Android phones below. If your phone uses a different operating system, please check the manufacturer’s website for support information about changing these settings. Open the Settings app and select Notifications. You’ll see a list of every app installed on your phone. 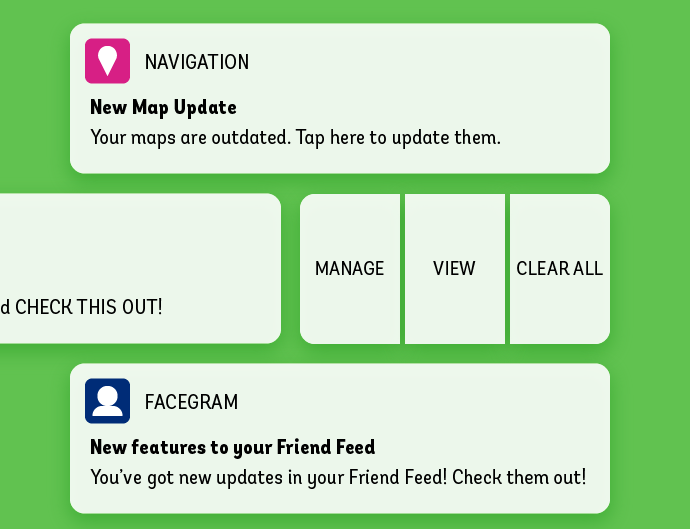 From here, you can jump in and start adjusting the notification style for each app. Any changes you make will save automatically. 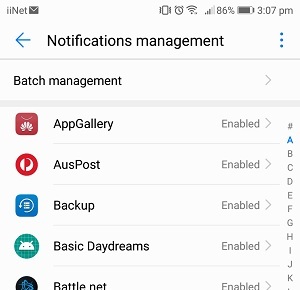 By default, you’ll see the following switches in the notifications settings for every app:- Allow Notifications, which you can use to allow or stop notifications for that app altogether. – Sounds, which you can use to assign a particular ringtone to notifications for that app, or make them silent. – Badge App icon, which you can use to allow or stop the red dot ‘badges’ appearing at the corner of the app’s tile on your iPhone’s home screen. – Show on Lock Screen, which you can use to allow or stop notifications showing up on your iPhone’s screen while the handset is locked. 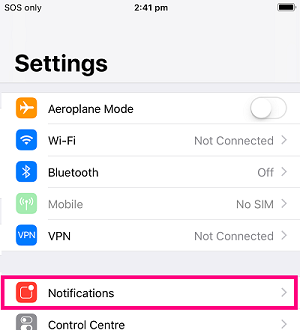 – Show in History, which you can use to allow or stop notifications from showing up in your notifications history record, which you can view by swiping down from the top of your iPhone’s screen. – Show as Banners, which you can use to allow or stop notifications showing up at the top of your phone’s screen. Beneath this option, you can also choose if banners only show up briefly (Temporary) or if they should remain until you manually dismiss them (Persistent). If the app allows you to customise your notifications, you’ll see further options listed below these default settings. 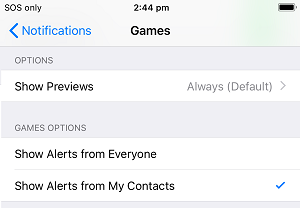 In the example below, you can see the default Games app allows you to choose if you want alerts from everyone, or only your contacts. Keep in mind that some apps may not give you many options for customising your notifications. If this is the case, head to the next section of this article for some advice on what to do. Run a search for “notifications”. From the results, select Notifications management. You’ll see a list of every app installed on your phone. From here, you can jump in and start adjusting the notification settings for each app. Any changes you make will save automatically. By default, you’ll see an Allow notifications switch for every app. 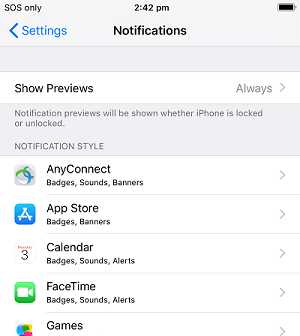 You can use this to allow or stop notifications for that app altogether.After that, you’ll see a list of the different types of notifications the app allows you to change the settings for. These options vary among different apps. 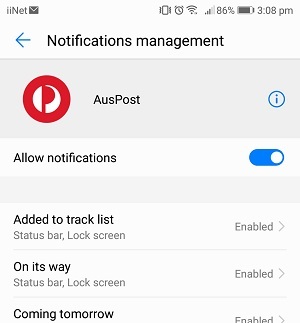 In the example below, you can see the AusPost app allows you to change notification settings for different stages of parcel delivery. 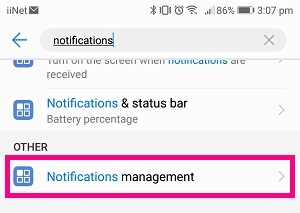 By default, you’ll see the following options for each type of notification:- Display in the status bar, which you can use to allow or stop a badge icon for the app appear at the top of your phone screen whenever you have an unread notification. 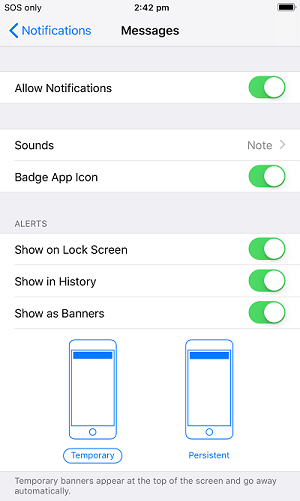 – Banners, which you can use to allow or stop notifications showing up at the top of your phone’s screen. – Lock screen notifications, which you can use to allow or stop notifications showing up on your phone’s screen while the handset is locked. – Ringtone, which you can use to assign a particular ringtone to notifications for that app, or make them silent. – Vibrate, which you can use to allow or stop your phone from vibrating when a notification is received. – Badges, which you can use to allow or stop the red dot ‘badges’ appearing at the corner of the app’s tile on your iPhone’s home screen. Keep in mind that some apps may not give you many options for customising your notifications. If this is the case, read on for some advice on what to do. Unfortunately, not every app may let you opt-out of the different types of notifications they may be serving up. Some apps may expect you to tolerate the spam in order to also receive useful notifications such as alerts for new messages. Hit the off switch – An app can’t spam you if it doesn’t have permission to send any notifications. Try turning them off and see how you go. You could spend the day with less distractions and then get into the habit of checking an app manually at certain times of the day, such as during a daily commute or just after lunch. Give feedback – You should be able to provide feedback directly to the company behind the app (or its developers) by leaving a review on iTunes or the Google Play Store. When leaving a comment, avoid being vague or using any inappropriate language – it’s not constructive and it just discredits you. Be sure to clearly explain what you found annoying and what you’d like to be able to do, e.g. “I want to disable notifications about X without stopping my notifications about Y”. Any good developer should be taking notes about what their users wants from the app. If enough people say they want a feature, you could see it in a future update! Find a better alternative – If you really can’t stand the spam, do a little research to see if there’s a different app that does the same thing but allows you to customise your notifications settings in the way you want. You won’t know if another app is better unless you give it a try. Here’s to a more focused and less interrupted 2019! How do you stay on top of your notifications and prioritise your alerts? Share your tips in the comments. Thank you. I found this helpful and checked my notifications. Lately I’ve been receiving them from facebook. Fb notifications are “off” so why am I still receiving them? Would rather receive them as before, on my computer. So you feel you’re losing face when you forget the birthday of a contact you’ve never met? Get real, and get off Facebook! Facebook is just remarketing, selling your contacts as your “friends”! Are you suggesting to get another app to deal with unruly apps? I’ve fixed the electronic interruptions problem. Get a basic phone, and don’t give your phone number to every person you meet. Whoever named those internet-connected phones as “smart” phones was a marketing genius – they’re merely a very limited idiot computer with a too-small screen.